10월 29일 페어펙스 주 청사에서 페어펙스 카운티의 수잔 불로바 군수는 “오는 11월 4일 대대적인 중간 선거를 앞두고, 페어 펙스 카운티의 다양한 민족들이 모여사는 점을 감안해 특히 AAPI( Asian American Pacific Islanders) 커뮤니티의 영어에 대한 부족한 이해를 돕기위해 스페니쉬, 한국어, 비엔남어 등의 언어를 사용하는 주민들의 불편을 해소하기 위하여 통역 도우미를 비롯한 선거 정보에 대한 안내를 한국어와 베엔남어로 해 주기로 했다.”고 기자회견에서 밝혔다. 기자와의 짧은 인터뷰에서 기자가 묻기를, 어떤 동기로 한인 커뮤니티와 비엔남 커뮤니티에게 이런 중요한 기회와 특혜를 줄려고 하였는가 하는 질문에 수잔 불로바 군수는 “페어펙스 카운티에서 한인 사회는 특히 아주 중요한 의미를 가지며 어떻게 투표를 할 수 있으며, 또 어디에서 할 수 있는 것인가를 더 쉽게, 더 잘 알게 해주고 싶었다.”고 말했다. 수잔 불로바 군수는 이번 선거에는 특별히 사진이 부착된 신분증을 지참해야 하며 그러한 신분증이 없는 사람은 무료로 신분증을 발급해주며, 페어펙스 주 청사에서 신분증을 발급받고 그 곳에서 직접 투표를 할 수 있다. 물론 7개의 투표소에서 직접 신분증을 발급받고 투표를 할 수 있다. 현재, 노던 버지니아 지역에 히스페닉 다음으로 한인 인구의 증가와 함께 비엔남인들이 급속도로 증가하는데 따른 페어펙스 카운티 정부의 다양성을 존중하며 인정하는, 그래서 이번 선거를 통해 “한 사람이라도 더 자신이 가져야 할 권리를 누릴 수 있는 기회를 제공하자는 데 그 의의가 있다.”고 마크 킴 버지니아 하원의원이 말했다. AAPI 커뮤니티의 활성화를 위해 Grace Han Wolf 헌돈 시의원의 활발한 활동과 또 카운티와의 조율을 통해서 더 살기 좋은 페어펙스 카운티가 되고 있다. 고 수잔 불로바 군수와, 지니 누엔(Voice of Vietnamese American) 과 마크 킴 하원의원등이 입을 모았다. 지난해 처음으로 한국어 투표 도우미가 선거를 도왔다. 이번에 최초로 비엔남어가 미국의 중심부인 워싱턴 지역의 페어펙스 카운티에서 한국어와 나란히 투표 도우미 혜택을 받게 되었다. 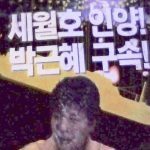 지난 10월 14일까지 선거 등록을 마친 사람은 자신의 선거구에서 투표를 할 수 있다. 이번 11월 4일 투표하는 날 이전까지 할 수 있는 부재자 투표 방식은 다음과 같다. 1. 유효한 운전면허증을 소지해야 한다. 2. 군대 복무증(사진) 도 가능하다. 3. 연방 공무원 증, 버지니아, 지방정부 신분증, 패스포트도 가능하다. 5. 버지니아 소재 대학 학생증(사진) 가능하다. *** 만약에 이러한 신분증이 없을 시, Free Voter Photo ID 를 발급 받을 수 있다. 어떤 사람이 부재자 투표를 할 수 있는가? 1. 선거일에 휴가, 직장이나 사업으로 그 선거구역에 있을 수 없는 사람. 2. If you have a disability, are a primary caregiver, pregnant , students or spouse of a student. 3. On Election day, you have a religious obligation, active duty merchant Marine or Armed Forces, or the spouse or dependent of the member, or you are working between 6am to 7 pm or commute thus you can’t vote your district precinct within the time. 페어 펙스 카운티의 경우, 아래의 장소에서 부재자 투표를 할 수 있다. Fairfax County Government Center : 12000 Government Center Parkway Conference Center Room 2&3 Fairfax, VA 22035 에서도 직접할 수 있다. 그리고 각 지역의 청사에서 할 수 있으며 장소는 다음과 같다. West Springfield Governmental Center : 6140 Rolling Road, Springfield. 신분증이 없는 경우에는 투표소에서 일하는 참관인의 도움을 받아, Provisional Ballot을 할 수 있으며 유효투표로 간주 할 수 있다. * Korean Dial In number – when voters call into the main phone line for the Office of Elections, you can now hear a pre-recorded informational message in Korean! Call the main number – 703-222-0776 and you now have three options: Press 1 for English; press 2 for Spanish and now, press 3 for Korean. I’m very excited that Fairfax County has offered this option to our community. Also, we’d like to include a short Public Service Announcement (PSA) from Chairman Bulova regarding the need for all voters to bring a government issued photo ID with them in order to vote on November 4. This information is available on the Virginia State Board of Elections website at http://elections.virginia.gov/index.php/casting-a-ballot/in-person-voting/. This entry was posted in General and tagged 비엔남어 선거 도우미, 한국어 by Corih Kim. Bookmark the permalink.